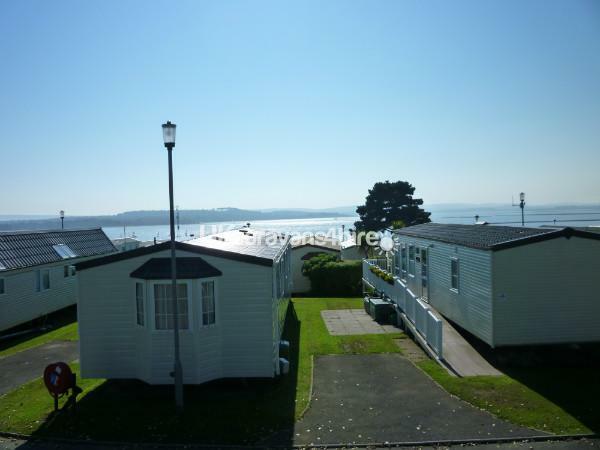 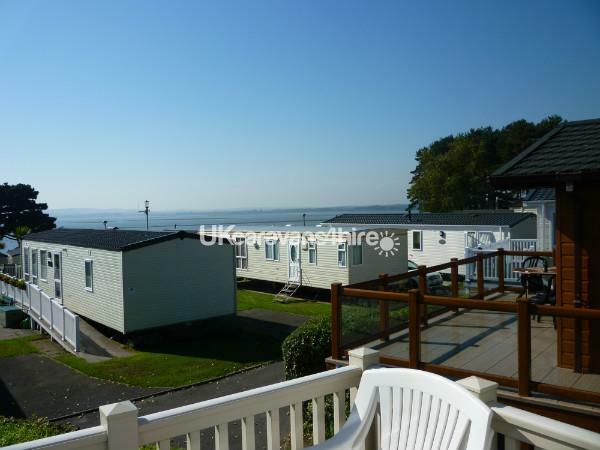 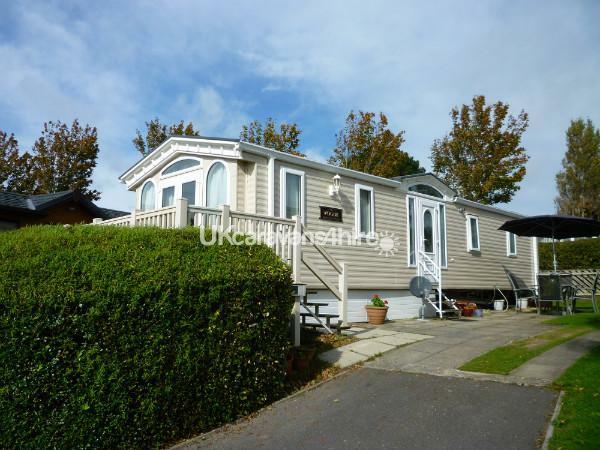 This lovely caravan is situated in a secluded part of Rockley Park overlooking the sea towards Arne nature reserve. 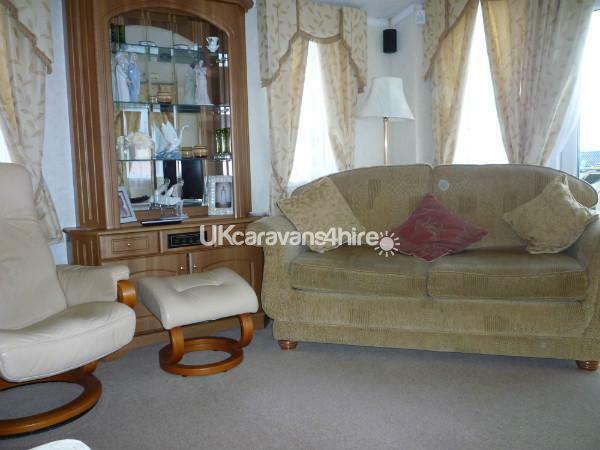 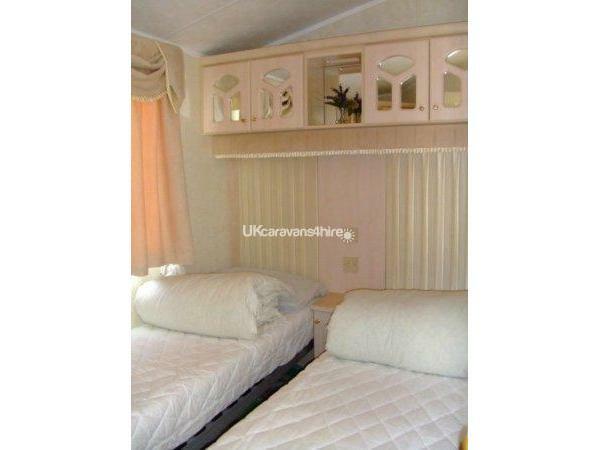 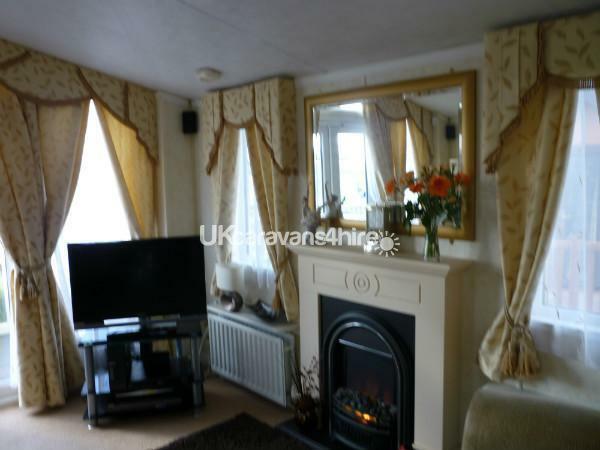 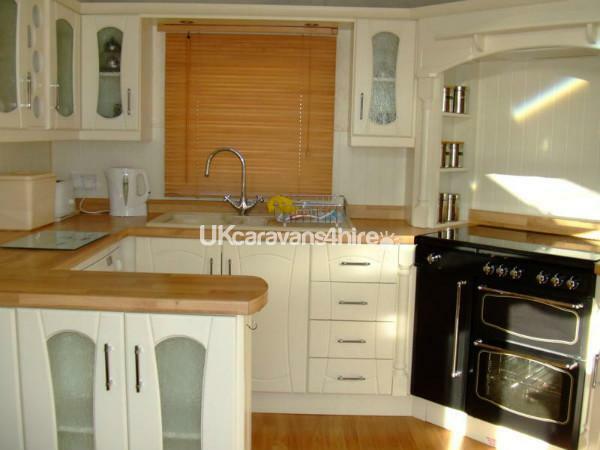 The caravan is double glazed and centrally heated. 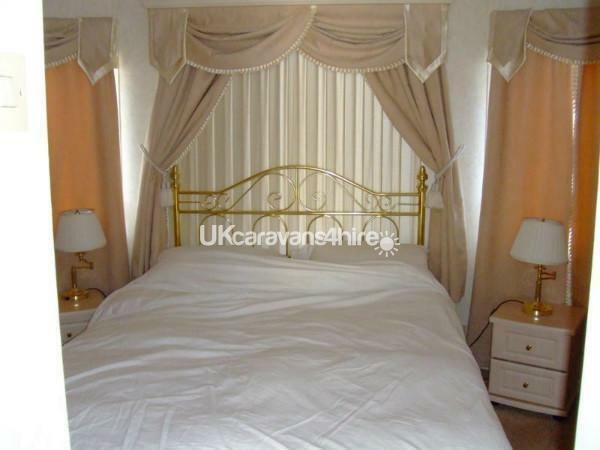 The large Master bedroom has a King-size bed, which is extremely comfortable, lots of cupboard space and en-suite toilet. 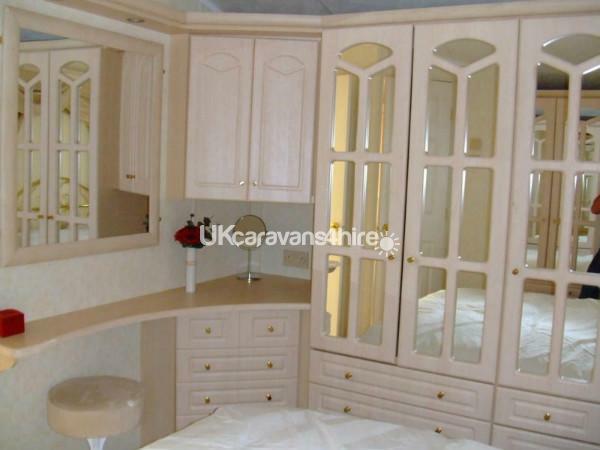 The second bedroom has twin beds wardrobe and cupboards.